When it comes to our crops this month the main thing we've been working on is gathering information and making decisions for the Agricultural Act of 2014 (aka the Farm Bill). This new Farm Bill has enrollment deadlines quickly approaching that will impact some of our risk management tools we use on our farm for the next five years, so it is important we fully understand what our options are. To help us learn about these choices we have been attending informational meetings in our area hosted by Iowa State University Extension and USDA/FSA (Farm Service Agency). This is also a time of opportunity to update our farm's production history, so we've been busy gathering all of our data to do that too. Weather affects our crop ground all year long. This month we've seen a thick snow cover from a few snow storms at the beginning of the month, disappear here in the last week. The ground thawed a lot, at least in the top couple of inches. I actually got mud on my boots when I walked out into our field to take the photo below yesterday! But as with life in Iowa, that is all about to change as we have 6+ inches of snow coming tonight and cold temperatures to follow. They always say that if you don't like the weather in Iowa, just wait a couple of days and it'll be completely different! Our pigs are currently six months old and weigh around 220 pounds. We have been caring for them for the last 14 weeks. The big thing during the winter is to keep them warm. You can see in the photo that we have added extra insulation and protection on the walls of the barn to keep a consistent and comfortable temperature of 65 degrees Fahrenheit for them. This has obviously been a big month for our family, as we added JP to our family. JP has been an easy going baby so far who is starting to become more alert longer each day. It is crazy to think that she is already three weeks old, but at the same time, we have forgotten what life was like without her. 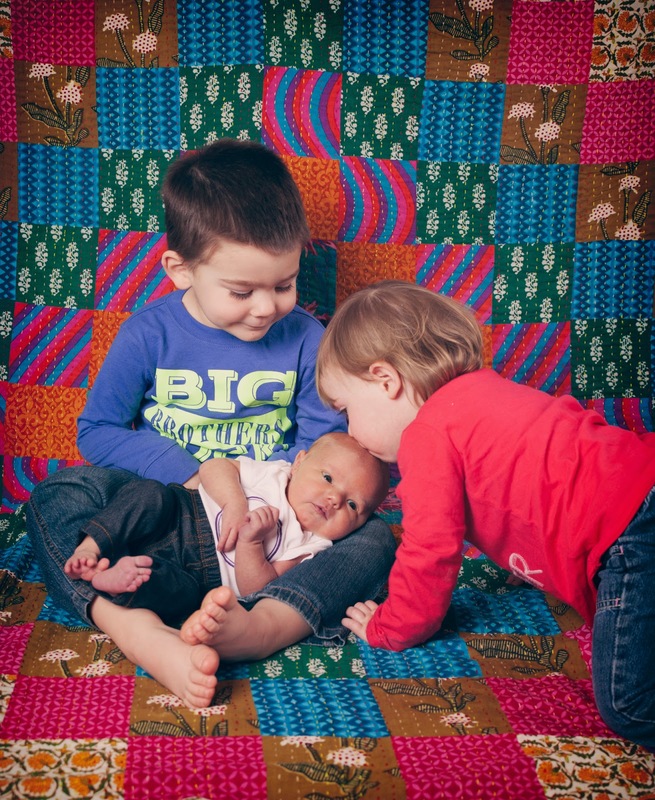 As for LP, he is enjoying being a big brother to two sisters. One of his favorite activities currently is to build with an erector set he got for Christmas. He loves taking things apart and putting them back together, or rebuilding something completely new. Future engineer possibly? And MP can't stop kissing and hugging JP. If you would let her I think she would show her affection every other minute all day long. MP's favorite activity is reading. We probably read 20 books a day. Her current favorite is "Tickle Time!" by Sandra Boynton . What were you up to in the month of January? What was the best thing that happened to you or favorite thing you did? Remember to Comment for a Cause! Happy New Year! 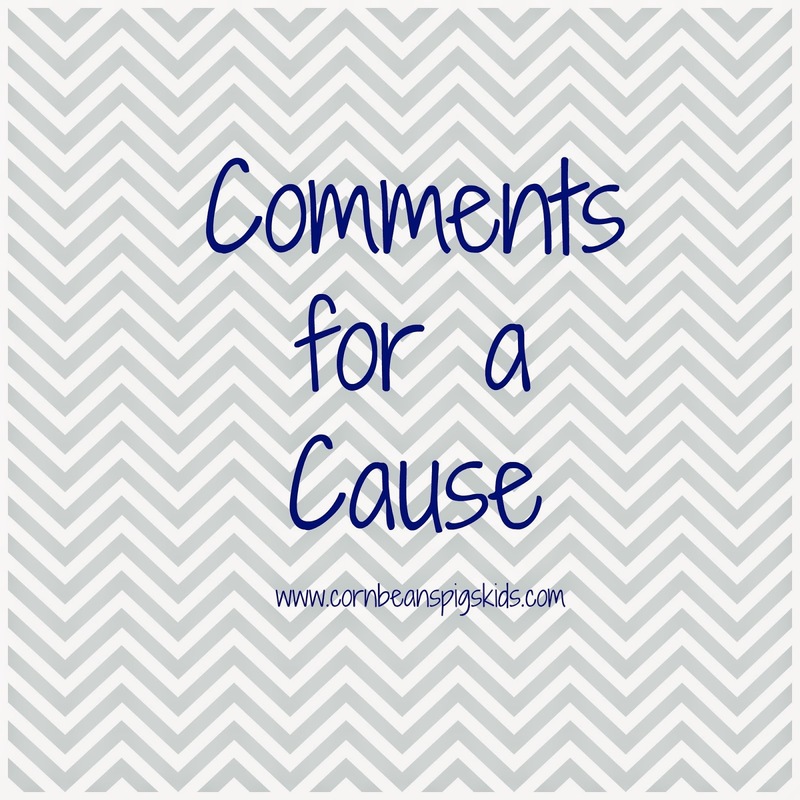 It is not only a new month of Comments for a Cause, but it is a new year of my Comments for a Cause program! I will admit, it takes a lot of work to put this together every month and I considered making it a year-only program, but the people, organizations and causes that I have gotten to know through this program made me want to continue for another year. So, if you have ideas for future Comments for a Cause causes, please contact me! I love it when readers have reached out to me with ideas! In the month of December I loved hearing stories of families and students that have participated in Dance Marathon! Thank you for the 94 comments last month, resulting in a donation of $47 to Dance Marathon and the Children's Miracle Network Hospitals. I hope all of those participating in the Iowa State University's Dance Marathon on January 23rd & January 24th have a fun and successful event, especially Courtney and the Graber family. In the month of January I am excited to help a local event that will be celebrating it's fifth year, Battle of the Badges, that supports Make-A-Wish Iowa, by donating $0.50 for every comment during the month. Battle of the Badges is a friendly hockey game that puts firefighters from across North Iowa against law enforcement from North Iowa, all in an effort to raise money and awareness for Make-A-Wish Iowa. This year's game will be held on Saturday, January 17th at 7pm at the North Iowa Ice Arena in Mason City. Admission is $5 and 100% will go to Make-A-Wish! Make-A-Wish is an organization that is very near and dear to my heart and I am proud to be a volunteer and wish granter for the last seven years. One of my favorite Wish events over the last few years has been the Battle of the Badges. This is a fun event that brings many Wish families from across North Iowa together and who doesn't like to watch hockey! The firefighters and law enforcement make this event so special for the Wish families in attendance. They get to sit in a special seating section, get a personal meet and greet with the hockey players before the game and get to go out on the ice before the game for the official puck drop. I know the Wish families look forward to this event every year to not only have fun, but have a time for fellowship. Since this year is the fifth year of the Battle of the Badges, the firefighters and the law enforcement have made a goal to raise $50,000! You can help with that goal by buying your ticket today from the Mason City Police Department or Fire Department, the Cerro Gordo County Sheriff's Office, Coffee Cat or Matt Dodge American Family Insurance, or at the door the day of the event. You can also talk to any of the firefighters or law enforcement participating in the event about being a sponsor. And of course, you can comment on any of my blog posts all month long to help with this event's efforts. So be sure to Comment for a Cause! One of my favorite things about New Year's is that it's a perfect time to have a fresh start and set some new goals and habits. This year I've set some personal and blogging goals that I wanted to share with all of you, because I don't know if any of you are like me, but when I have to be accountable for my goals I work harder on them. Learn Spanish - When I was in high school I didn't take any foreign language because I thought I'd never need it because I was going into agriculture. The truth, twelve years later, knowing Spanish wouldn't just help me as a farmer understanding others we do business with, but it'd also help me as a member of my community, as I live in a diversified area. Be Financial Savvy - As baby #3 JP should arrive any day, and as I am decreasing my consulting work, and as the farm markets look shaky, 2015 will be the year to stay on top of my family's finances. One of my roles on the farm and for my family is taking care of all of our financials. I want to do a better, more timely and better organized job of doing this task. Things I'm going to do include utilizing our financial software all year long and not just at the end of the year as we are get ready for taxes, and I'm going to monitor our expenses to help create a budget as the year goes on. Pray - I would already consider myself a disciplined prayer but in the New Year I just want to refocus what I do and how I do things through my faith, and to receive support and guidance through prayer. Prayer is an amazing thing and helps you accomplish anything. 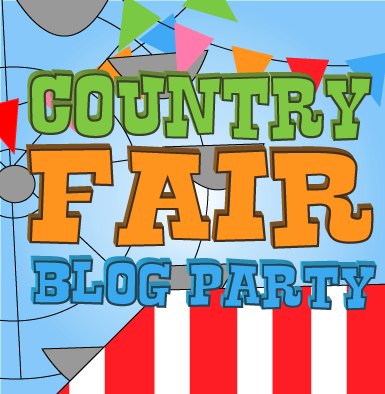 Country Fair Blog Party - I am so excited to join several other blogs this year as a co-host of the monthly Country Fair Blog Party! I have participated in this blog hop several times over the last year and was excited when the hosts invited me to join them as a co-host. Each month has a different theme and is a great way to check out new blogs. And if you blog yourself, a great way for new people to see your posts! Become Self-Hosted - I'm ready to step up my blogging game and become self-hosted. Last year I made some contacts about going self-hosted and now this year I'm planning on actually taking those steps. 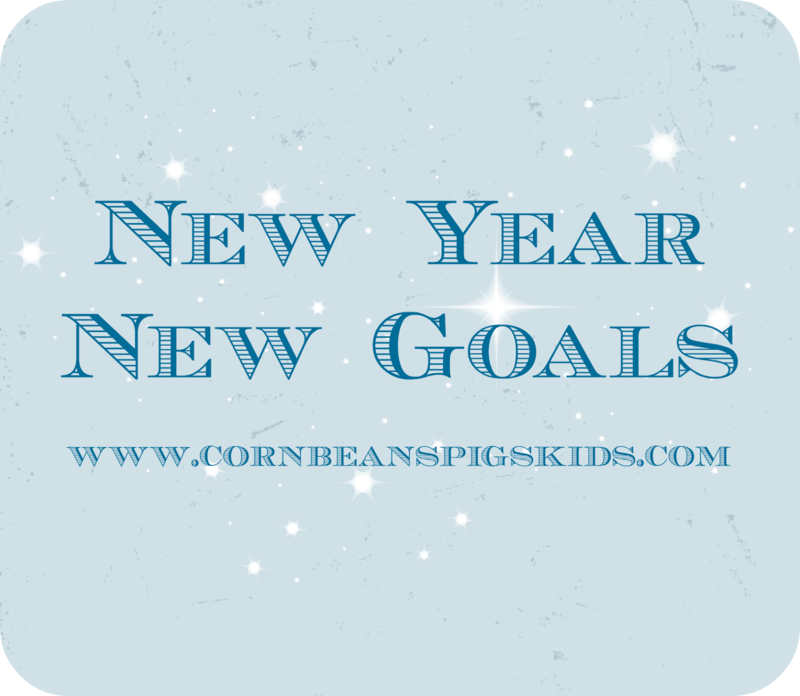 I already own my domain of www.cornbeanspigskids.com but have it redirected to my blogspot address. By becoming self-hosted I have full ownership of my blog and have more freedom to do more with my blog. Daily Routine - Now I might not be making the best start by not getting this post out till 11pm... but I'd like to do little, simple, daily tasks in relation to my blog and my social network, rather than having certain days where it seems all my free time seems to go towards blogging. I enjoy blogging and find it as a personal outlet in a way - why not make it part of my daily routine, rather than every few days. I am excited! How about you? What are you looking forward to the most in 2015? Remember to Comment for a Cause!